Once again I had the good fortune to be in the company of a raptor bander. Banding birds help to bring greater understanding to a bird's environment and its health. Data collected consists of dispersal and migration, behavior and social structure, life-span and survival rate, reproductive success and population growth. 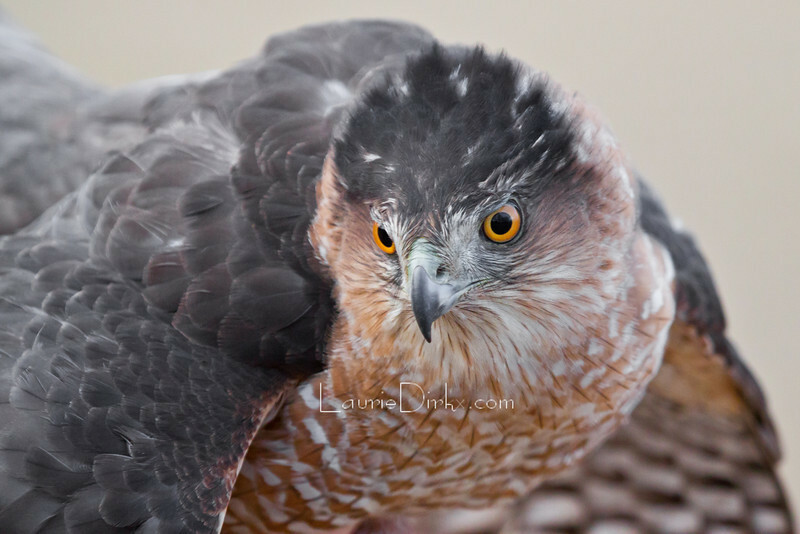 A rather typical trait of a Cooper's hawk is to witness its hackles raised (feathers at the back of the head and neck), which gives this bird a fierce look, though was gentle to handle...in experienced hands. Many thanks to Dave Genesky and Dave Mathiason (pictured)!